Being a parent is not easy. It’s hard to understand why children act the way they do. If you are tired of being frustrated and constantly repeating yourself these tips can help. 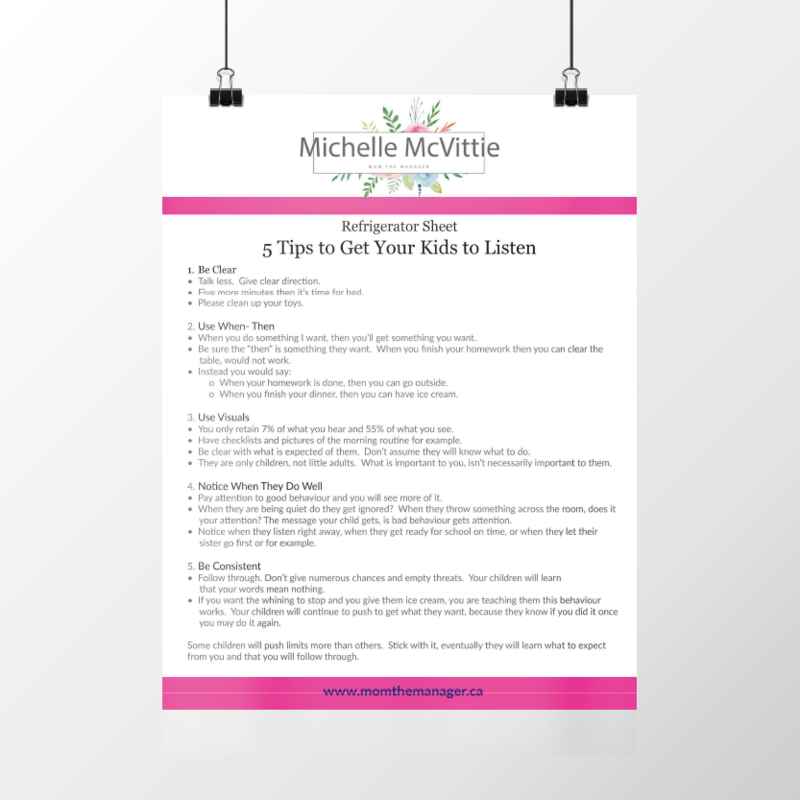 Sign up for Michelle’s monthly newsletter and receive more great content just like this straight to your inbox.